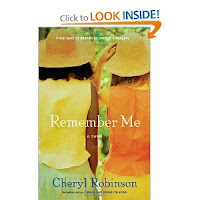 Remember Me by Cheryl Robinson is the story of two women, Mia and Danielle, who were close friends in their early years only to drift apart. After several years their lives are nothing like they expected them to be. Rocked by divorce and scandal these two woman's lives become intertwined once more in a way neither of them expect. At its core, this novel is about forgiveness and reconciliation. 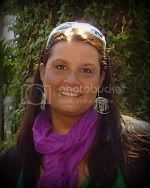 Each woman must forgive, in order to make peace with circumstances and the future. Only through that forgiveness can they start to rebuild their friendship. Through alternating chapters between the past and present, the reader is introduced to the two main characters and their stories. 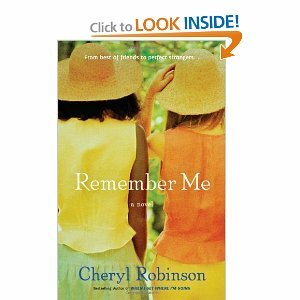 As the book progresses the woman find their way back to each other and try to mend old wounds. The story flowed smoothly but, at times, the dialogue seemed a bit clunky. This book would make a great weekend book if you're looking for something to read while curled up in a chair on a chilly fall day. I'm partial to stories about friendships and this one was no exception. Overall, I really enjoyed this book. Disclosure: I was provided a copy of this book for review by the author and TLC Tours. The thoughts and opinions in this post are my own.